Do you have a stroller that has limited or no space for your baby’s stuff? Isn’t that frustrating? With my strollers, while I had space beneath the seat to store a bag, it was still annoying to reach down into the bag for whatever I needed. And if I was using the storage basket beneath to carry bags from stores…well then forget about putting anything else down there! I thought about looking for a stroller organizer bag, but never quite got around to it. 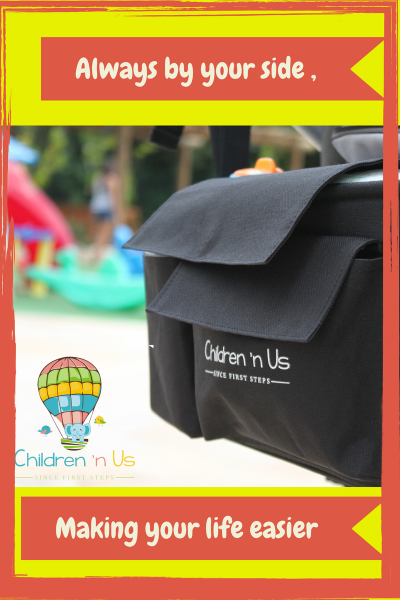 Thanks to Children ‘n Us, I was given the chance to review their Premium Stroller Organizer Bag. What is the Premium Stroller Organizer Bag? The Premium Stroller Organizer Bag is one of the largest stroller organizer bags on the market. It has a large center compartment with two bottle pockets, a cell phone pocket, a velcro pocket, an external pocket, and a zipper pocket. It comes with two adjustable straps that can be used to secure the bag to a stroller, a bike, or a car seat. This bag really has a ton of usable pockets. When I use it to take long walks with the kiddos, I pack everything I need in this one bag: diapers, wipes, drinks, snacks, my smartphone, my portable charger, my keys, and my wallet. I like that the bag is so close to the speaker on my stroller. My smartphone with its case on doesn’t fit in the small stroller compartment or the cup holders, so I put it in the stroller organizer bag and connect it to the stroller speakers from there. While the description for the bag says it has insulated pockets for bottles, it doesn’t. The pockets are mesh, so if you wanted to bring a bottle of milk or formula, you should use a bottle insulator and an ice pack (which I have done). I can’t tell you enough how convenient this stroller organizer bag is. It’s perfect for long walks, trips to the park, and even shopping. I love having everything right where I need it without having to bend down to get something from the basket beneath the seat. I keep mine constantly stocked and ready to go, just like I would my diaper bag. I just add the drinks and snacks and we’re off! 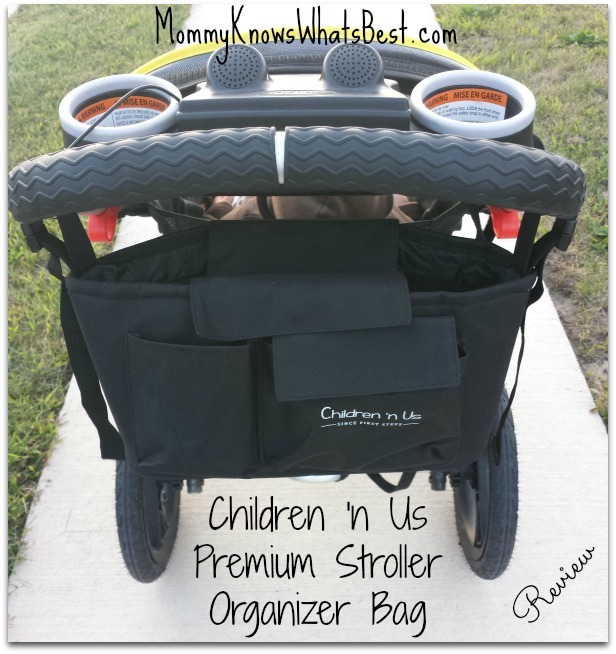 This stroller organizer bag is perfect for using in the car as well. It can be kept on the back of a seat and the kids could keep their drinks and snacks in it along with any games or small toys. It can also be used as an emergency bag that is stocked with first aid items, extra gloves for cold winter days, and so much more. Make the bag with a shoulder strap to use it on the go. Turn the mesh bottle pockets into insulated pockets. Add some new colors or patterns to the bag to make it more fun. This is one baby product that I highly recommend. It’s very convenient, and it’s affordable! It’s currently on Amazon for just $15.99 (with FREE shipping if you have Prime!). Follow Children ‘n Us on Facebook / Twitter / Pinterest for more info and special deals! I received one or more of the products mentioned above for free using Tomoson.com. Regardless, I only recommend products or services I use personally and believe will be good for my readers. This post contains affiliate links from which I may get a small commission. Previous Post: « Do You Need to Wear Sunscreen on Your Face in the Fall or Winter? I love how sleek and slim this is. It’s not obnoxious and noticeable, yet effective on holding all the things you need at an arms length! 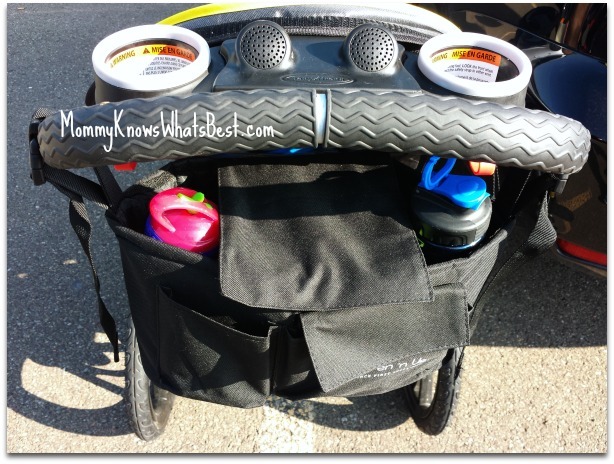 I have a similar stroller organizer by Dot&Dot and I love it too! 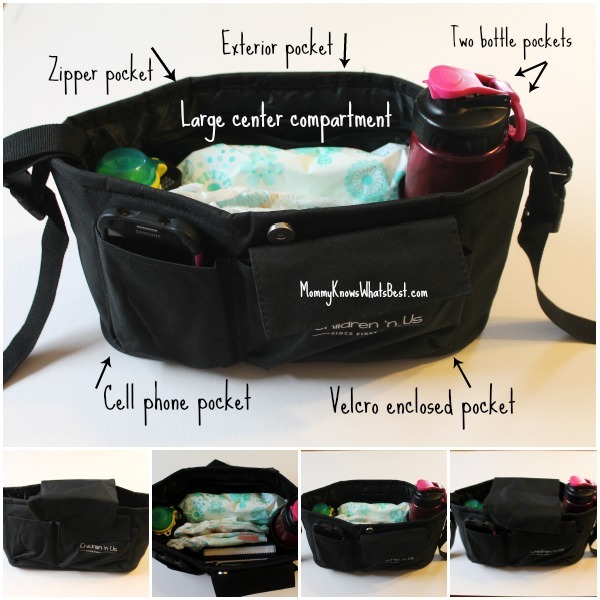 It’s very convenient to use than the diaper bag.